Brahmi Health Benefits, Dosage, Side effects and Warnings. Scientific Name: Bacopa monnieri (L.) Wettst. family: Scrophulariaceae (figworts); also known as Bacopa monniera, Herpestis monniera, or Moniera cuneifolia . Brahmi, Jalnaveri, Jalanimba, Sambrani chettu, thyme-leaved gratiola, Bacopa, Babies tear, Bacopa monnieri, Hespestis monniera, Nirbrahmi, Indian Pennywort and water hyssop. 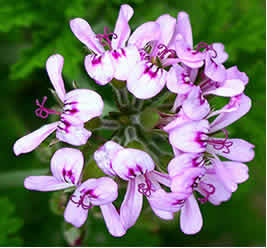 In English it is commonly called as the 'Herb of Grace'. Brahmi (Bacopa monnieri) also known as Bacopa is a perennial, creeping herb with numerous branches that grows in wetlands and marshy places. Brahmi is native to India but has spread throughout the tropics. Brahmi has great value in Ayurvedic medicine mainly used as brain and mental tonic to treat Alzheimer disease, memory loss, insanity, insomnia and other mental illness. Brahmi is an edible plant that can grow to about 6 inches in height while Brahmi branches creeps horizontally covering the ground. Brahmi has small oval shaped leaves that are succulent and relatively thick. Active constituents that are found in Brahmi include the following: alkaloids, sterols, saponins, betulic acid, stimastorol, betasitosterol, bacoside and bacopasaponins. The combination of these chemicals provide the claimed health benefits of Brahmi although limited scientific research would support these claims. Brahmi is a popular brain tonic. It is used to promote overall mental health while rejuvenating the optimal function of the brain. Brahmi is believed to provide the following health benefits. Brahmi improves the body metabolism. It is believed to increase the triiodothyronine (T3) and thyroxine (T4) in blood.T3 and T4 help control your body's metabolism. Leprosy. Indian medicinal system uses Brahmi to treat the symptoms of leprosy. Brahmi Leaves for Elephantiasis. In Indian medicine, the paste made from Brahmi leaves is applied on the affected parts for half an hour twice a day. Brahmi is used in Indian Ayurvedic medicine as brain tonic. Brahmi has naturally occurring nitric oxide that according to studies have positive effects in brain activity. Brahmi has Bacosides that release nitric oxide that relaxes the aorta and veins allowing smooth blood flow that nourishes the nerve cells, improving cognitive capability, promote mental clarity and focus. Brahmi is used as memory enhancer. In a study conducted to test the chronic effects of Brahmi (Bacopa monniera) on human memory done in University of Wollongong, Australia, suggests that Brahmi (Bacopa monniera) shows a significant action of enhancing the capacity of the subjects to retain new information while maintaining the capability of learning. Brahmi is used as treatment for Alzheimer’s disease. In a study conducted on rats (J. Ethnopharmacol, 2009), a model was conducted where Alzheimer’s disease is induced to rats. The rats were afterwards given Brahmi extract to determine its effects against Alzheimer’s disease. The test showed that rats given a dose of up to 80mg/kg of Brahmi extract had improved cognitive capability and mitigated the further reduction of brain neurons. Brahmi as anti-oxidant. A study entitled “Free radical scavenging capacity and protective effect of Bacopa monniera on DNA damage, 2003”, suggests that Brahmi (Bacopa monniera) has an antioxidant capacity, scavenging free radicals in the body while protecting the DNA cleavage. This study in Brahmi action against free radicals has value in treating pathologies where free radical production is evident. Brahmi has neuroprotective effect. Studies conducted in Naresuan University in Thailand (2008), suggest that in an induced neuron cell death (neurotoxicity) in the primary cortical culture, Brahmi (Bacopa monnieri) extract has a positive effect in neurons preventing the progressive reduction in mass thus mitigating neurodegeneration. Brahmi as a depression treatment. In a depression induced model study done in rats. Brahmi extract when compared to an antidepressant drug ‘imipramine’, showed the same effects, suggesting that Brahmi has antidepressant activity comparable to imipramine. Brahmi as an epilepsy treatment. In a model study done on rats. Pilocarpine is used to induce epileptic episodes in rats. Brahmi (Bacopa monnieri) extract showed a positive effect to the epileptic hippocampus. The depressive behavior of epileptic rats was reversed when Brahmi extract were given if compared to those who receive no treatment. Brahmi as stress reduction herb. 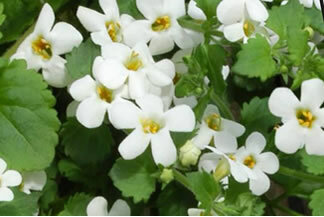 Brahmi (Bacopa monnieri) has been studied to provide anti stress activity in rat test models. The effect of Brahmi extract to the hippocampus is that it modulates activities of Hsp70 expression and superoxide simutase thereby preparing the brain to act in adverse conditions such as stress. Brahmi as an anti-ulcer herbal medicine. Studies suggest that in an acid induced ulcer in rats, Brahmi extract has shown an anti-ulcer and ulcer healing activity. It is believed that Brahmi effects a mucosal offensive and defensive action, limiting the growth of helicobacter pylori, preventing gastric ulceration and promotes healing. Where can I get or buy Brahmi? Brahmi plant can be cultivated and can be planted in your garden. 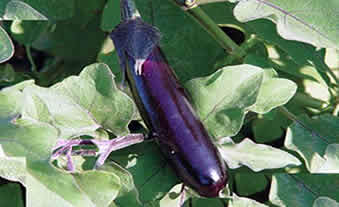 It can be grown from nodes on the spreading vines that can be sourced through local horticulturist. 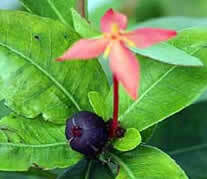 Brahmi is also commercially prepared as an extract, in tablet, tincture and powder forms. Brahmi products and supplements are available in most fitness and health stores. Brahmi is also available online via Amazon as listed: Organic Brahmi Herbal Tablets for example, there are other brands, be sure to select one from a reputable manufacturer and do follow the suggested dosage. 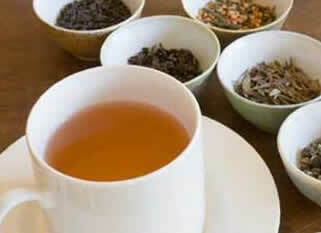 Brahmi tea can be prepared using 2 to 4 grams of dried Brahmi leaves in a cup of boiling water. Taken 2 to 3 times a day. Brahmi powder. The dried leaves of Brahmi can be powdered and may be taken as is or mixed with boiled water to make a tea. Brahmi ointment and creams. Fresh juice extract from Brahmi leaves can be mixed with carrier oils to form a paste or cream. The Brahmi paste can be applied 2 times a day to the affected area. Prepare about half teaspoon of dried Brahmi leaves for every cup of water. 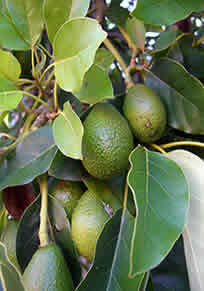 The fresh juice extract from the leaves can also be used. 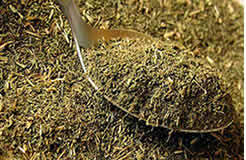 You can add other herbs or honey to improve the efficacy and taste. Generally safe. Brahmi is considered safe for most adults if taken at recommended dosage and for a limited time (not more than 12 weeks). 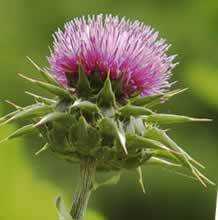 Oversuse may manifest side effects such as diarrhea, stomach cramps, feeling of fatigue, nausea and dry mouth. May cause allergic reaction. There are reports that contact may cause skin allergic reaction to sensitive people..
Children: Brahmi is not recommended for use for children below 5 years of age. Pregnancy and breast-feeding: There are no sufficient studies done to determine the safe use of Brahmi herbal medicine during pregnancy and breast feeding. It is best to avoid its use. Potential to slow heart rate. Brahmi might slow down the heart beat. This could be a problem in people who already have a slow heart rate. Thyroid disorders. Brahmi might increase levels of thyroid hormones T3 and T4. Brahmi should be used cautiously if you have thyroid condition.